As a lover of the old, ancient and the antiquated, I was pleased to see a certain search engine celebrating Harry Houdini’s 137th birthday with vintage style. 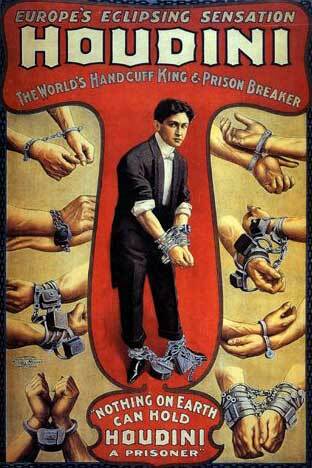 It appears they used this Houdini promotional poster as the inspiration for their doodle. To honor the great escapist’s 137th birthday, here’s a short story by Houdini himself (ghost-written by my favorite fiction writer H.P. 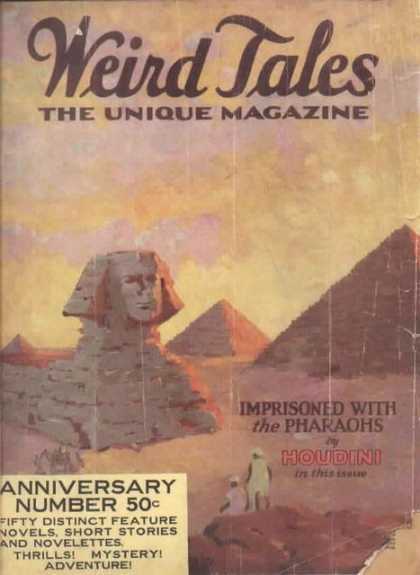 Lovecraft) in 1924 titled, “Imprisoned with the Pharaohs” (also titled “Under the Pyramids”).